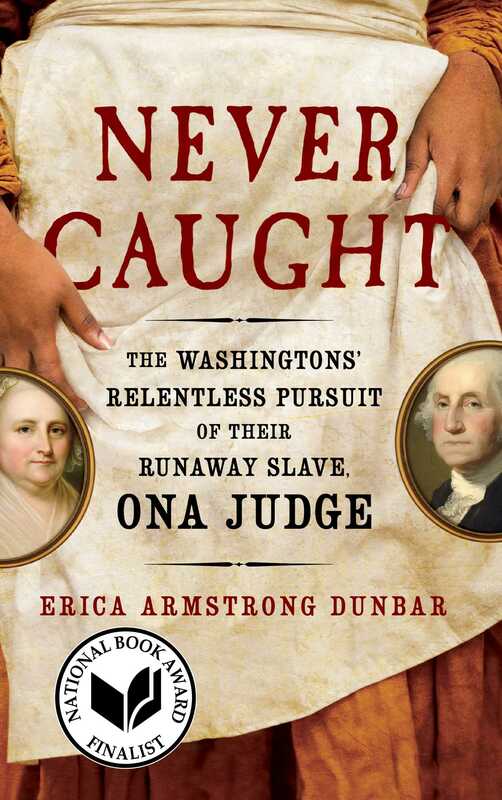 For our next Book Club meeting, we’ll be discussing Erica Armstrong Dunbar’s Never Caught: The Washingtons’ Relentless Pursuit of Their Runaway Slave, Ona Judge. 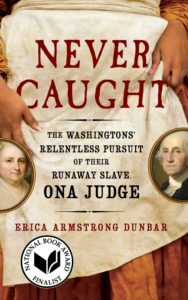 Dunbar’s book delves into the story of Ona Judge, a young enslaved woman who ran away from the president’s house in Philadelphia in 1796 and lived out the rest of her life in freedom in New Hampshire. Kirkus Reviews called the book, “A startling, well-researched . . . narrative that seriously questions the intentions of our first president.” The book was a finalist for the National Book Award. We’ll meet on Tuesday March 27 at 7 pm at Greenfield Hall, 343 Kings Highway East, Haddonfield. All are welcome!